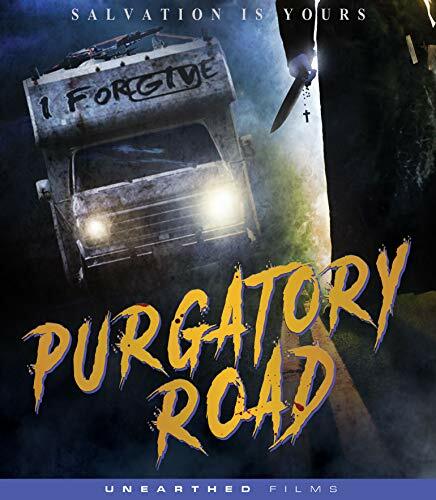 Official Trailer Arrives For PURGATORY ROAD! Unearthed Films have announced that they will release filmmaker Mark Savage’s upcoming film adaptation of PURGATORY ROAD Purgatory Road this February. Co-written by Savage and Tom Parnell. The movie tells a dark and tale of some twisted souls. The official trailer can be watched by heading down below. PURGATORY ROAD stars Jeremy Sande, Luke Albright, Trista Robinson, Sylvia Grace Crim, Gary Cairns, and Jack Teague. "Unable to stop a thief from stealing his father’s modest nest egg, young Vincent grows up blaming himself for his parents’ sudden suicide. Becoming a priest (Gary Cairns) who operates a highway-based ministry with his ambivalent brother Michael (Luke Albright), Vincent’s services include offering sage confessional advice to regular sinners while raining death on unrepentant thieves. Into the world of this antagonistic duo comes Mary-Francis (Trista Robinson), a psychotic, resourceful woman whose first act of “kindness” is to kill a thief whose actions threaten to expose the holy brotherly duo. Filled with gratitude for this act, Vincent invites Mary-Francis into their sacred world and triggers a gruesome chain of deadly events that threaten to dismantle the brothers’ decades-long partnership." PURGATORY ROAD will be released onto Blu-ray, DVD, VOD, and many other platforms February 12th.